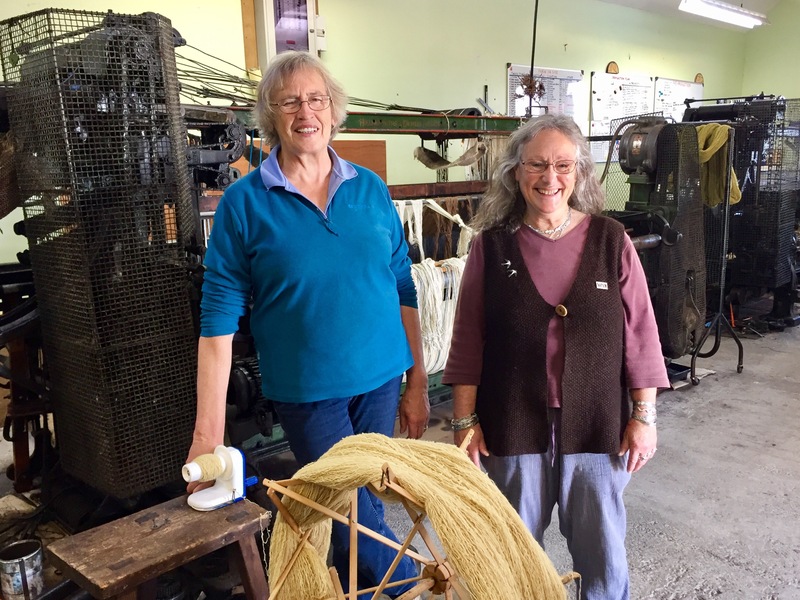 Photo of Anne, owner (left), and Sue ,who told me all I know about sheep. All their products are made from pure unsure wool, blends of such, or dyes with natural materials such as woad and madder. 10 Sep	This entry was published on September 10, 2017 at 12:40 pm and is filed under Uncategorized. Bookmark the permalink. Follow any comments here with the RSS feed for this post.